I have to be completely honest. I’m not usually a fan of beets. Whenever my roommate roasts them in the oven the entire house smells like sweet grass and dirt, which would be a fabulous smell if I enjoyed the taste of beets. 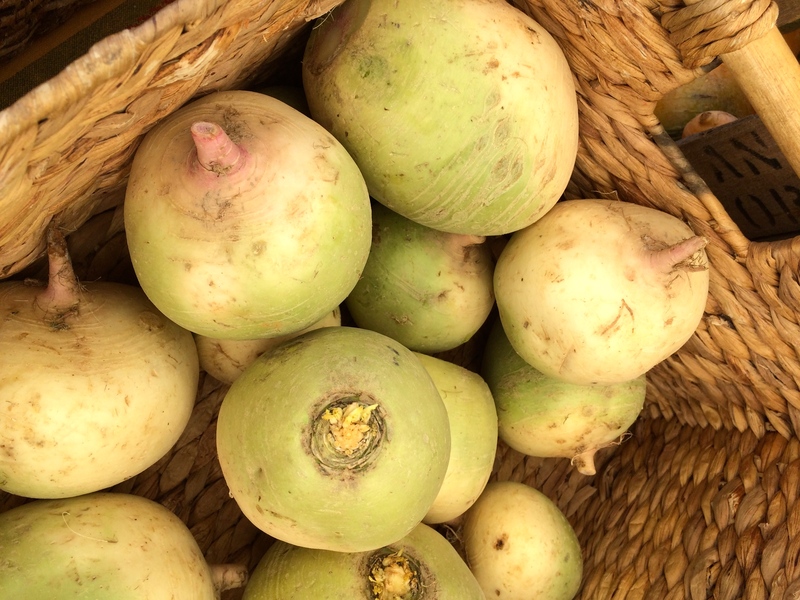 And while root vegetables are traditionally fall crops, many varieties (including beets) also grow quite well in the spring. So I wanted to take advantage of the beautiful beets from the Two Acre Farm tent while trying to make a dish that actually made me like beets. I think I’ve found it! 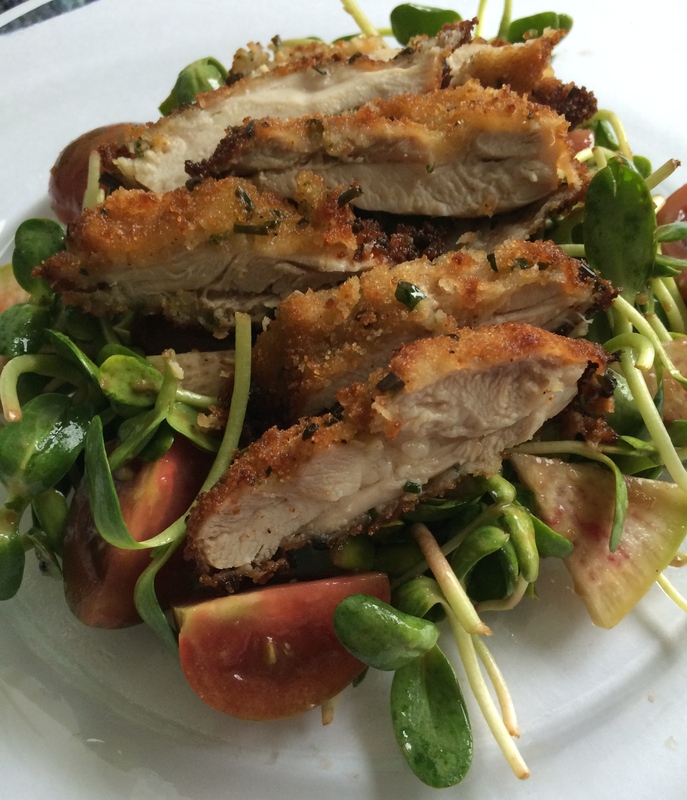 This dish uses two other amazing ingredients – one extremely seasonal and one very versatile. 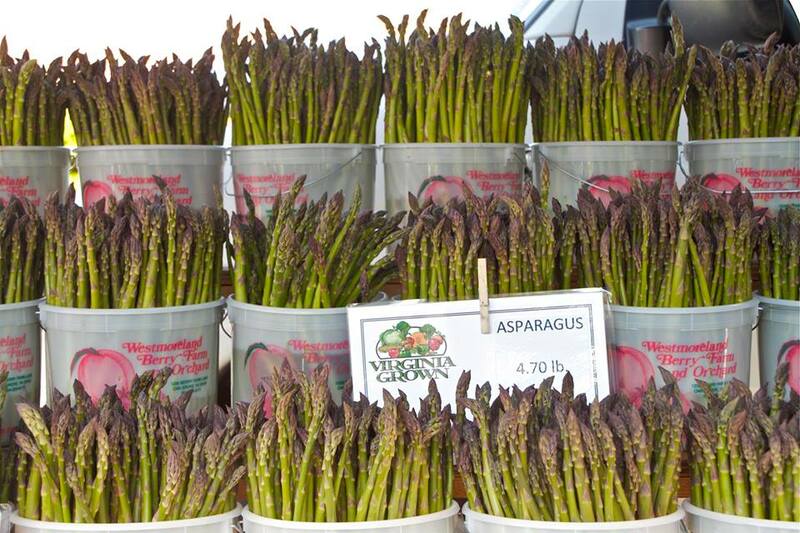 Spring is asparagus season and we get thrilled when we see the tubs full of beautiful stalks. Asparagus is one of the fastest selling produce items right now at the markets. The crops are available from late February to early June, but April and May are the prime months. 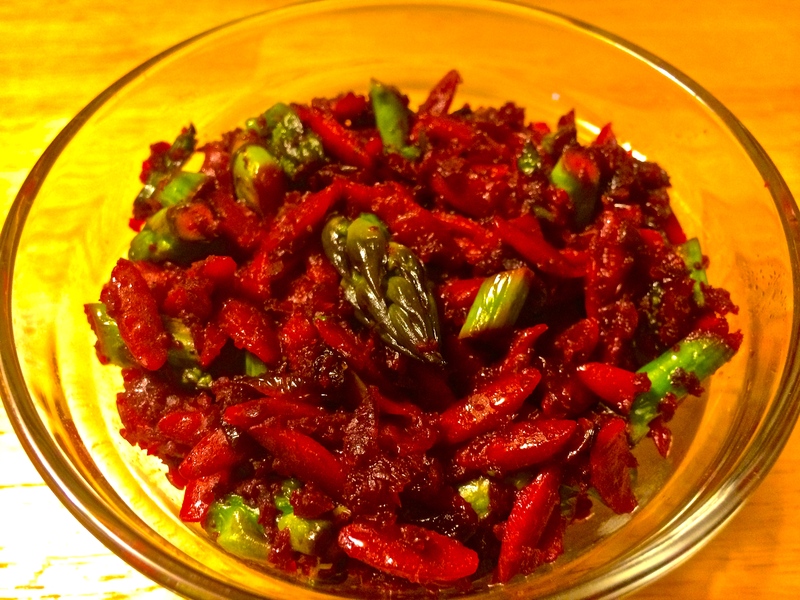 Due to high levels of Vitamin K and folate, asparagus has great anti-inflammatory and anti-oxidant benefits. Not to mention it is extremely tasty, especially when it is fresh and local. Twin Spring Fruit Farm sells a unique onion called a Candy Onion. They sample it, raw, on the tables in front of their stands. They are sweet and tender – perfect for the long and concentrated process of caramelization. Do not look at this recipe and get scared away – it is not as involved and arduous as it seems. There are many steps, but the simplicity of the process becomes a lot clearer as you start cooking. And the complexity of the final dish shocked even me, a self-proclaimed hater of beets! Each ingredient is perfectly balanced to create a delicious, deep flavored dish that is perfect for a weekend picnic for a Mother’s Day lunch. Make sure you do your best to share it, although you may want to keep it all for yourself. 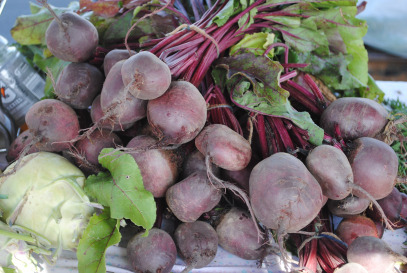 Cover whole beets with water and bring to a boil. Partially cover pot and simmer over medium heat until the tip of a knife slides in easily. Cooking time will vary depending on the size and freshness of the beets (it took 15 minutes for a small beet, 25 for a large one). Remove from pot, cool to room temperature, and peel. Puree in blender with water, wine, or stock (enough to make a paste). Using a wide pan, coat the bottom with olive oil on medium heat until hot. Add onion slices, spreading evenly and coating them completely. Let cook, stirring occasionally. Depending on your stovetop, turn the heat down to avoid burning the onions. To keep the onions from drying out, you can add some water to the pan. Let cook for 30 minutes to an hour, stirring every few minutes. As the onions cook down, make sure to scrape the bottom of the pan. Continue to cook and scrape until the onions are a rich, brown color. Remove from heat and let cool to room temperature. In a large saucepan, bring 3 quarts water to boil. Add orzo and boil about 10 minutes until it has a firm, chewy texture, stirring occasionally to prevent it from sticking together. Drain orzo in a colander. Toss orzo with beet puree, making sure to coat it evenly. Slice the asparagus diagonally into 1⁄2 inch pieces. Place 2 Tbsp oil in a pan. When hot, add asparagus. Cook for 3-4 minutes until the green color of the asparagus starts to brighten. Add the caramelized onions and cook for 2 minutes. 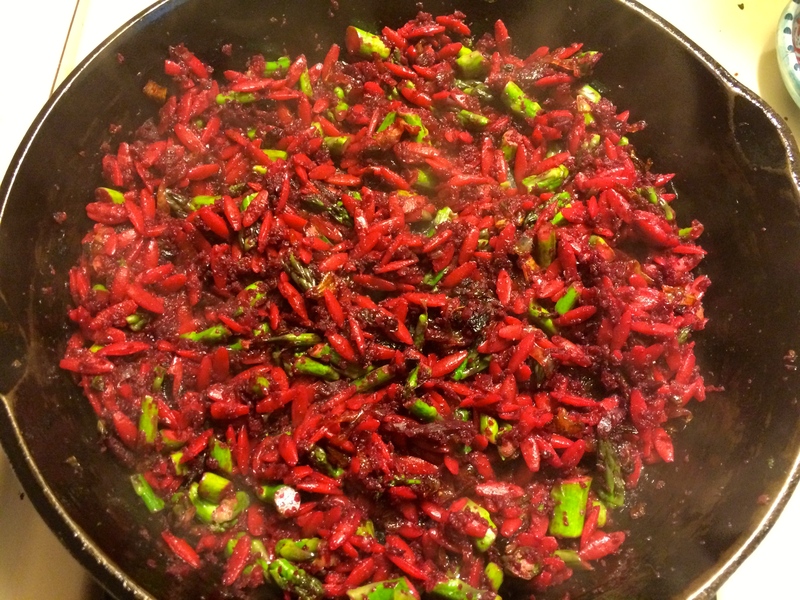 Add beet and orzo mixture and stir to combine, making sure everything is heated through. Serve room temperature or cold. 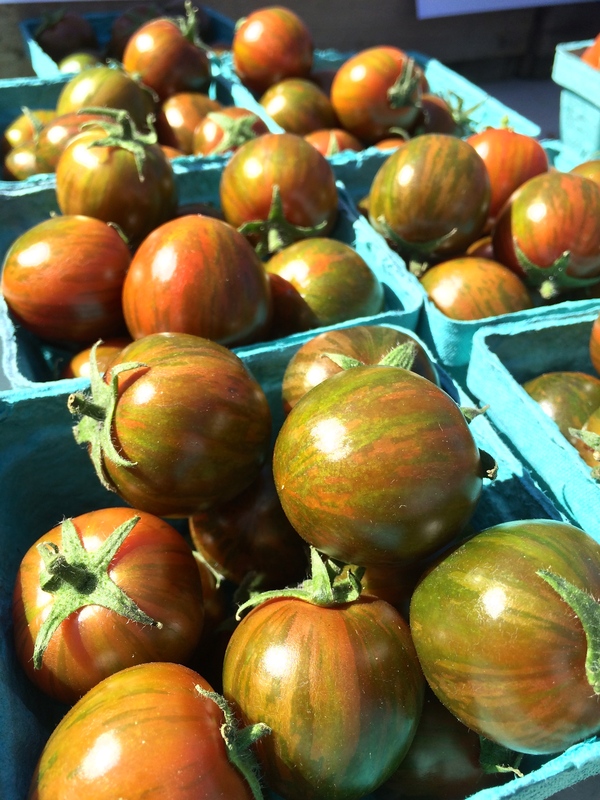 Last weekend, Pike Central Farm Market opened for it’s fourth season. We were delighted with the great number of patrons who came to welcome Pike back after the long winter season! Mosaic Central Farm Market will re-open on Sunday, May 3 (this weekend!) at 2910 District Ave. in Fairfax, VA. The market will be open from 9:30am-2:30pm. We can’t wait to see you there! Along with the all of the returning favorite vendors, a few wonderful new vendors have joined us this season. 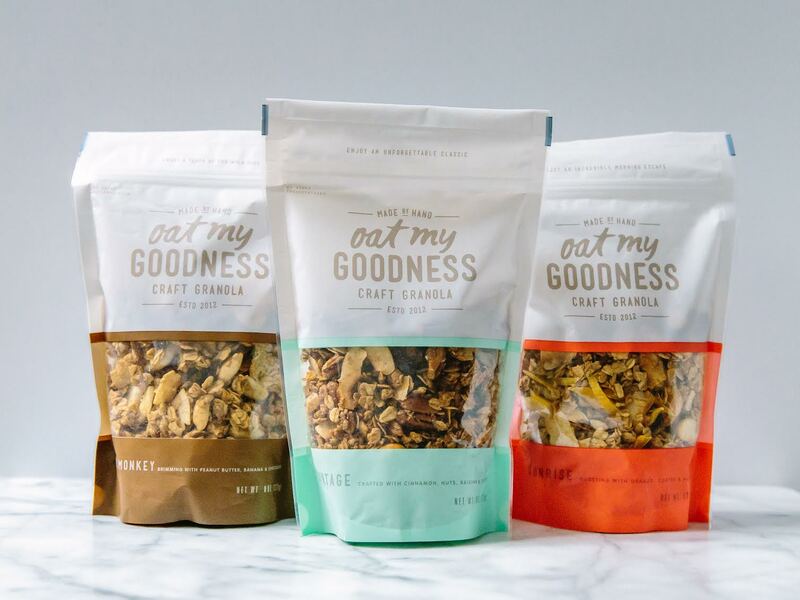 Oat My Goodness, a craft granola owned by Shohreh and Yasaman Vojdani, will be rotating through all three Central Farm Markets this summer. This product is amazing. All three varieties of handcrafted granola have a specific character, and the creator of the line, Shohreh, takes pride in making sure each flavor is properly balanced. The original flavor is called “Vintage,” with vanilla, cinnamon, and various nuts. “Sunrise” is a bold mixture of orange, mango, coconut, coffee, and macadamia nuts. For the flavor “Bad Monkey,” Shohreh created an amazing blend of banana, chocolate, and peanut butter. Each flavor is light and dangerously snack-friendly Oat My Goodness tastes. You must stop by and pick up a bag when they are at the markets! Top Chef winner and star of ABC’s “The Chew,” Carla Hall has joined both Pike and Mosaic Central Farm Markets selling her products from a line of baked goods called “Alchemy.” This caterer-turned-cookie-maker brings tiny, square cookies in a wonderful array of flavors – from Cheddar Pecan to Black Forest Crinkle and more. Other treats to look out for at Carla’s tent include the “Magic Bar” (graham cracker crust with black forest cookie dough, cherries, walnuts, and coconut), Salted Caramel Banana Bread, and fun items that will change throughout the seasons. Come by the tent for a test of all the treats. I guarantee that you will be convinced to bring some home with you – they are truly irresistible! 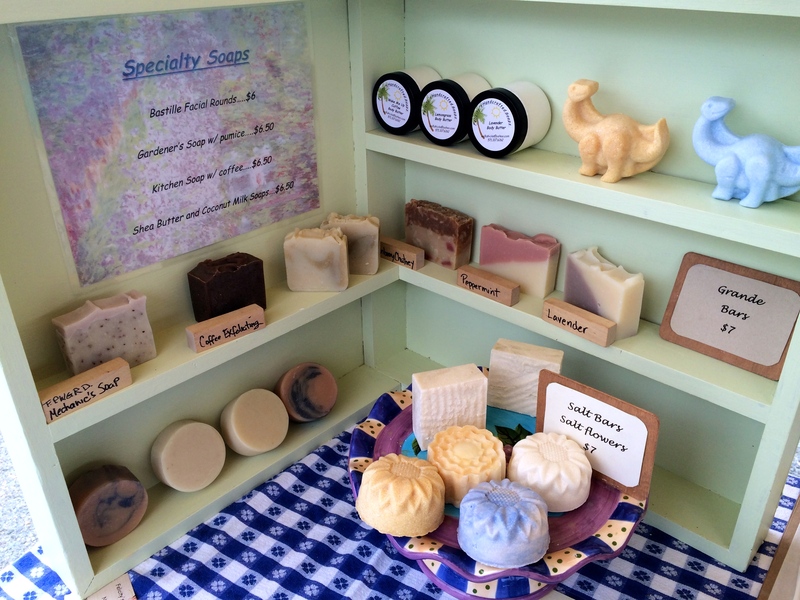 Felicity’s Handcrafted Soaps is joining us from Alexandria! Felicity has been making soap for eight years and uses coconut milk in her products. The fats in the coconut milk are moisturizing and the sugars increase lathering. The colors of her soaps are all natural botanicals and clays and the soaps are completely vegan. As if that isn’t enough, all of her packaging is biodegradable or reusable! Boasting flavors like Pink Grapefruit and Spearmint, Lemongrass and Orange, and Spring Meadows, there is surely a soap for everyone at her tent. 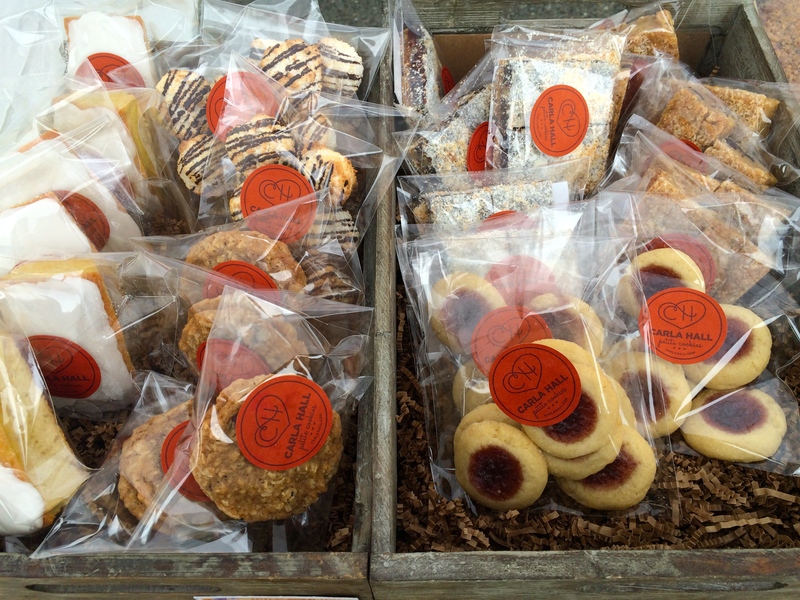 Come by and take a whiff of these delicious flavors – you’ll want to use them the minute you leave the market! *The name should speak for itself: Naughty Girls Donut Shop. Based in Front Royal, VA, Naughty Girls will be joining us at both Pike and Mosaic Central Markets this season. 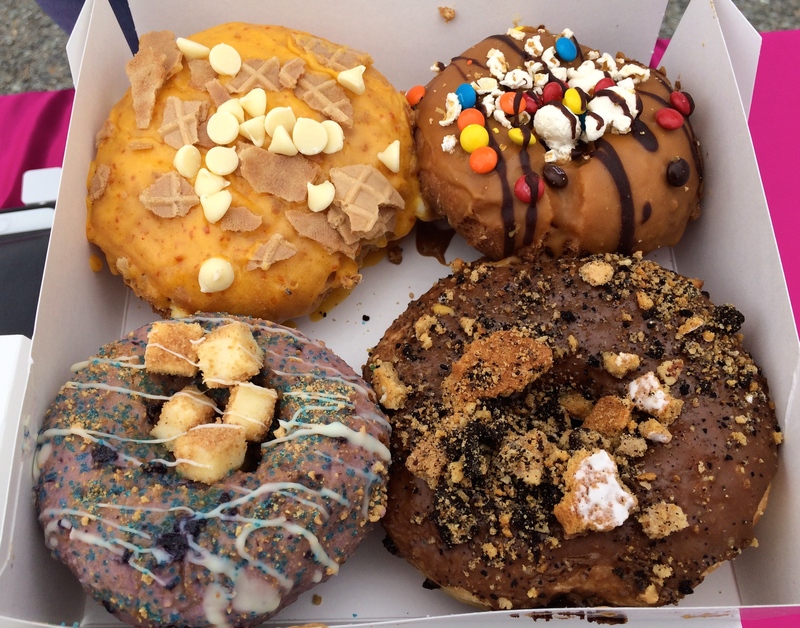 Each week they will bring four flavors of amazing, mouthwatering donuts to the markets. Last week’s flavors were Orange Dream, Caramel Popcorn, Mocha Cookie Crumble, and Blueberry Cheesecake. You never know what flavors will be available, so make sure to stop by and see for yourself. Bring a friend – these donuts are huge! Come take a look for yourself – this market is packed with goodies. 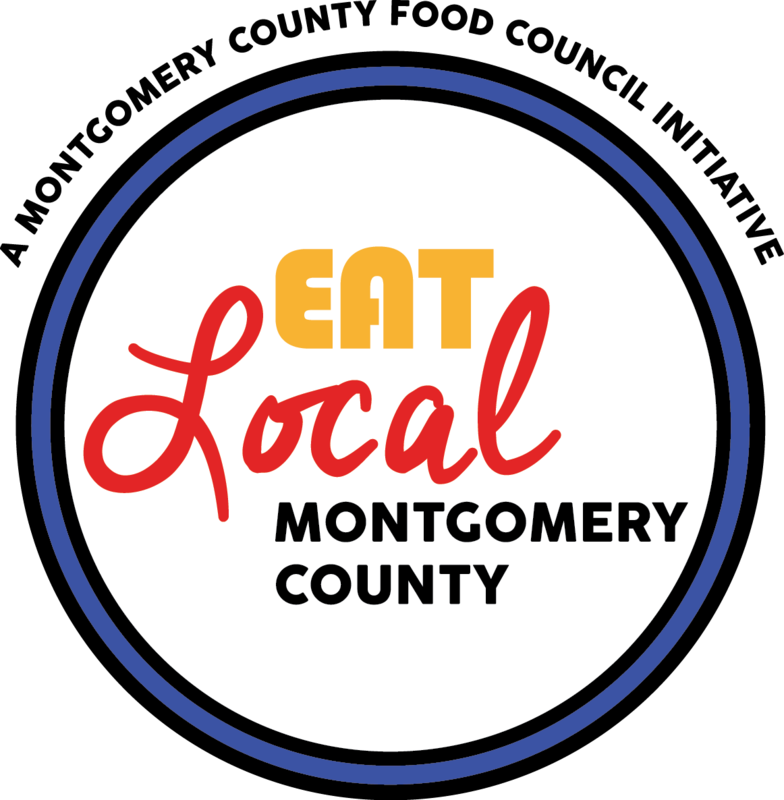 Not to mention the fact that we’ve also got the long-time Central Farm Market partners like Culinary Nomad, Twin Springs, Two Acre Farm, Meatcrafters, Springfield Farm, and so many more! Also the Kids Club will be joining the fun at Pike Central on May 9 and Bethesda Central on May 10! Bring your child to the Kids Club tent between 10:00am-12:00pm to decorate and plant a flower pot for Mother’s Day! *Naughty Girls Donut Shop is no longer at the Pike and Mosaic Central Farm Markets. Collect, Compost, Cultivate. That’s the idea behind the Compost Crew. They want to change your waste practices. They want to teach you how to support the organic waste movement. 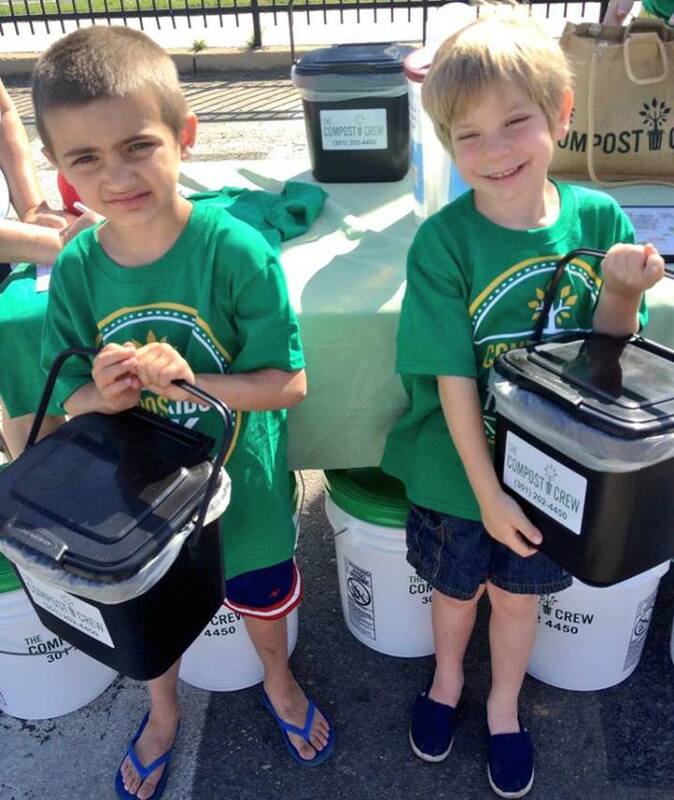 And at Bethesda Central Farm Market, they are starting a free composting program that will encourage children to compost in their homes! 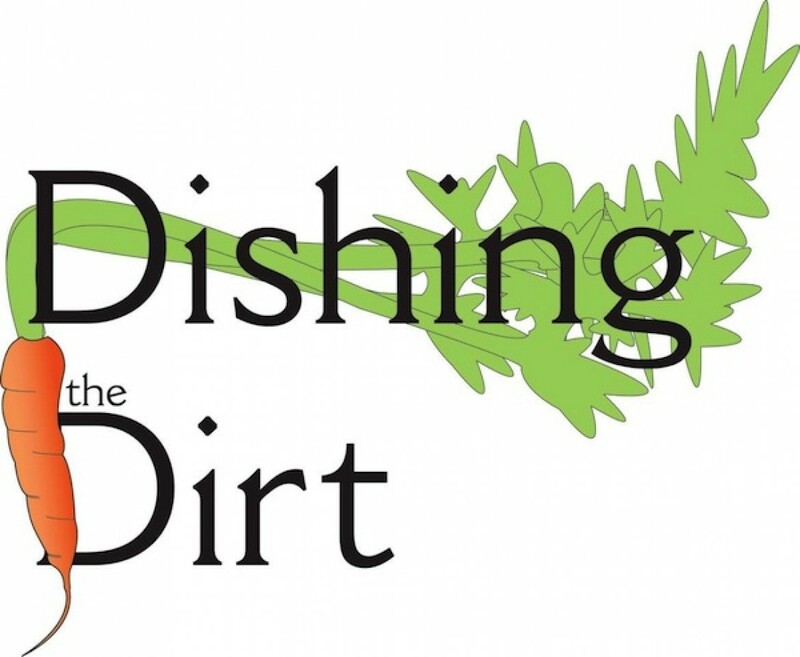 The CompostKIDS Program will begin at Bethesda Central Farm Market this weekend! The Compost Crew got its start in May of 2011. Co-founders Ryan Walter and Brian Flores, friends since kindergarten, decided that they wanted to grow food in “untraditional environments,” but they needed good soil to do so. Brian wanted to do more to make this rich, fertile soil available to others. 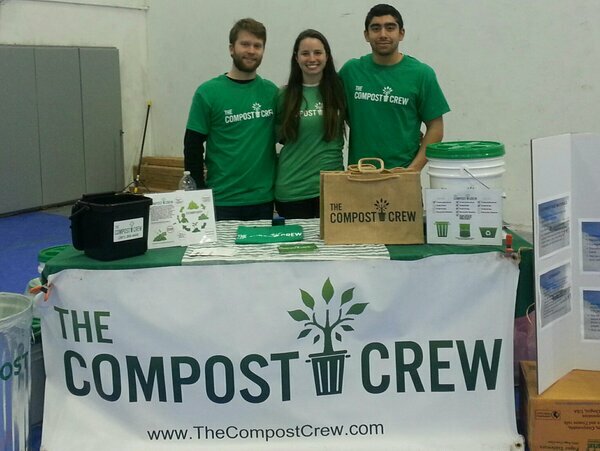 His friends motivated him to create his own company, and the Compost Crew was born. The pair decided they would launch the company once they had 15 customers. Between May and December of 2011, they acquired at least one new customer per month. In the Spring of 2012, the pair made a deal with the community of Somerset, which helped them secure 25+ new customers. Ryan worked on the website and communications, while Brian was in charge of collecting. 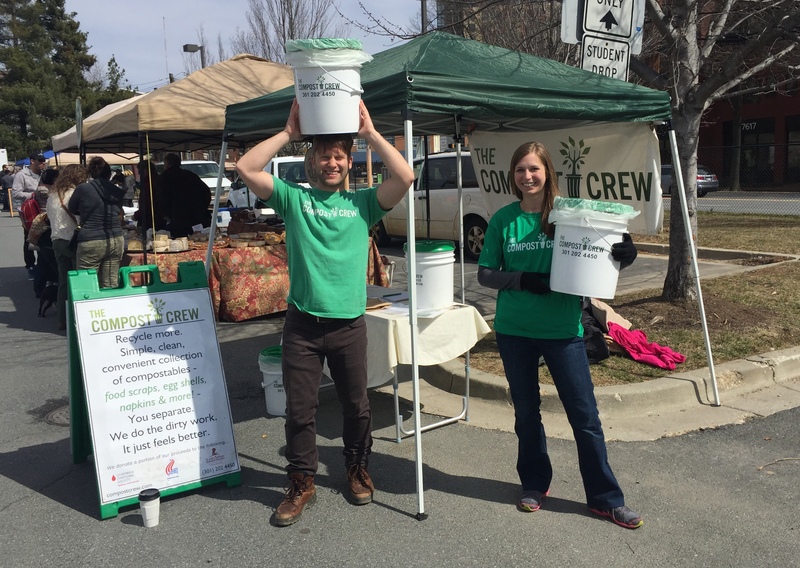 In the early days, the Crew had a partnership with growingSOUL, where they could drop off their compost for a small “tipping fee.” Soon, they were in local farm markets on weekends, starting relationships with small communities, and consulting with larger towns to become a municipal service. In 2014, they went from 250 customers to nearly 1200 due to their partnerships with Chevy Chase and Takoma Park. They have been servicing these homes ever since. The development is moving along, but they are still missing a part of the puzzle that the guys find very important. Sure, they are collecting compost. And yes, they’re distributing the waste to a place where it could be sustainably taken care of. But Ryan and Brian want to complete the process – they want to cultivate the soil into a product that they can distribute and that could be used to restart the whole process again. They want to put their collected compost right back into the earth to create a network of farms to “close the loop” in the composting model. This is the next step for The Compost Crew. Starting on Sunday April 26, and continuing through Sunday, October 25, 2015, kids ages up to 12 will be able to join in the fun. This program will be available at only at Bethesda Central Farm Market. Learn more about how the program works. Hurray!!! It’s Spring again at Central Farm Markets! The Bethesda Market has been open all winter, but we’re getting ready to open the Pike and Mosaic Central Farm Markets in just a few weeks. All of the vendors are starting to return and we are so happy to get the season underway. Two of the first things we see at the beginning of Spring – pea shoots and green garlic – are both great ways to welcome the warmer season. 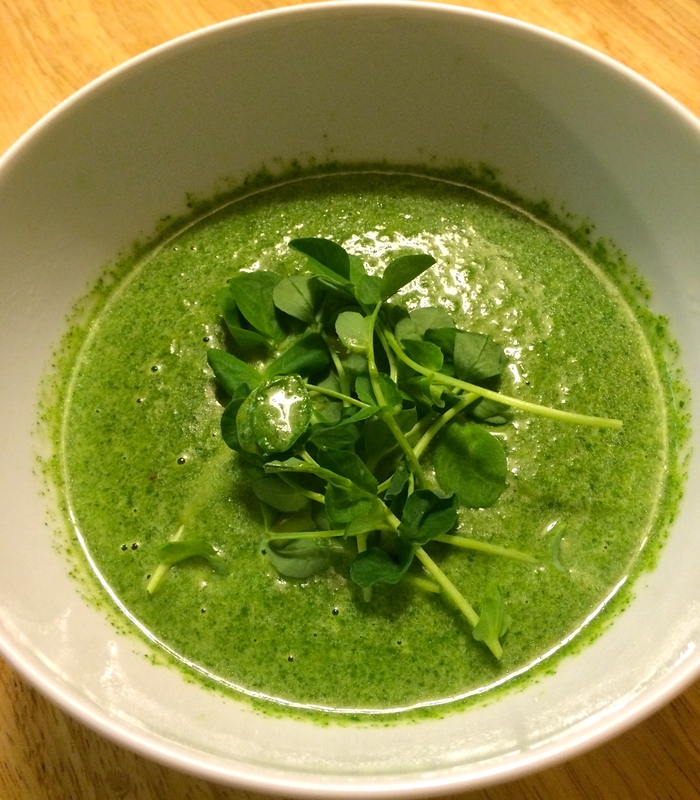 Both are featured in this delicious, simple Pea Shoot Soup. Also featured is the hardy, flavor-packed bone broth from Painted Hand Farm and the insanely fresh, delectable milk from Woodbourne Creamery. 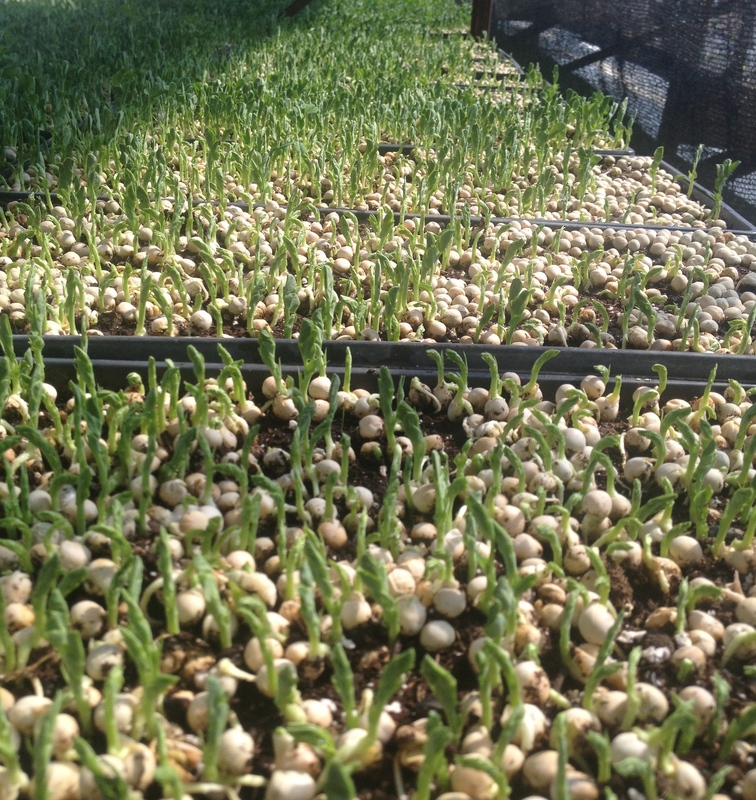 Pea shoots are the leaves that sprout from the traditional garden pea plant. Garden peas usually take all of Spring to grow. At the Young Harvests farm, pea shoots are harvested after just a few weeks, when the leaves are tender, young and literally bursting with a distinctive pea flavor. 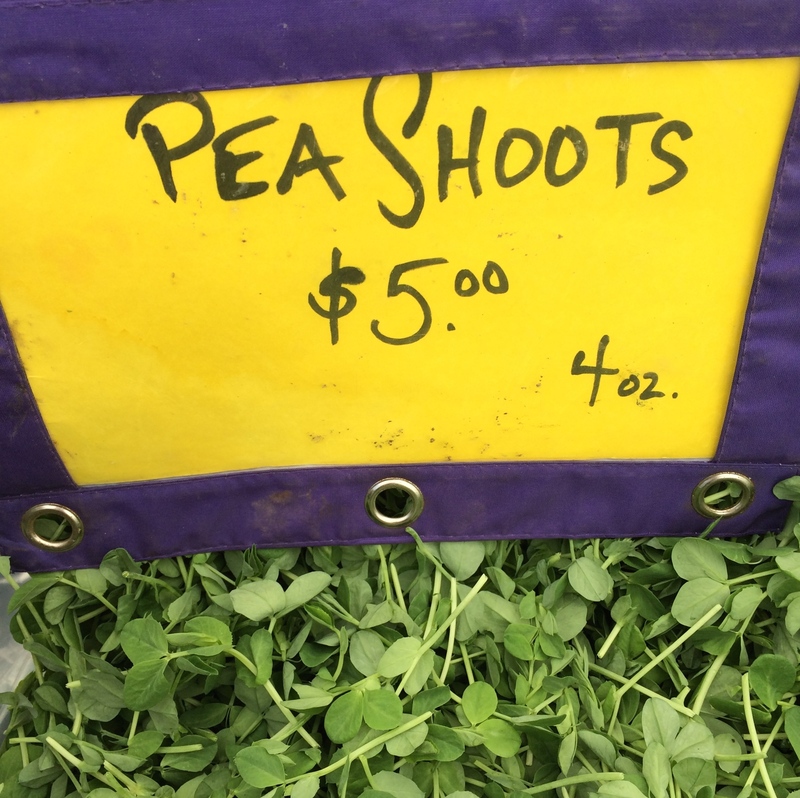 Pea shoots are packed with Vitamins A, C, and folic acid. They have a low energy density…in other words, they have fewer calories per mouthful. 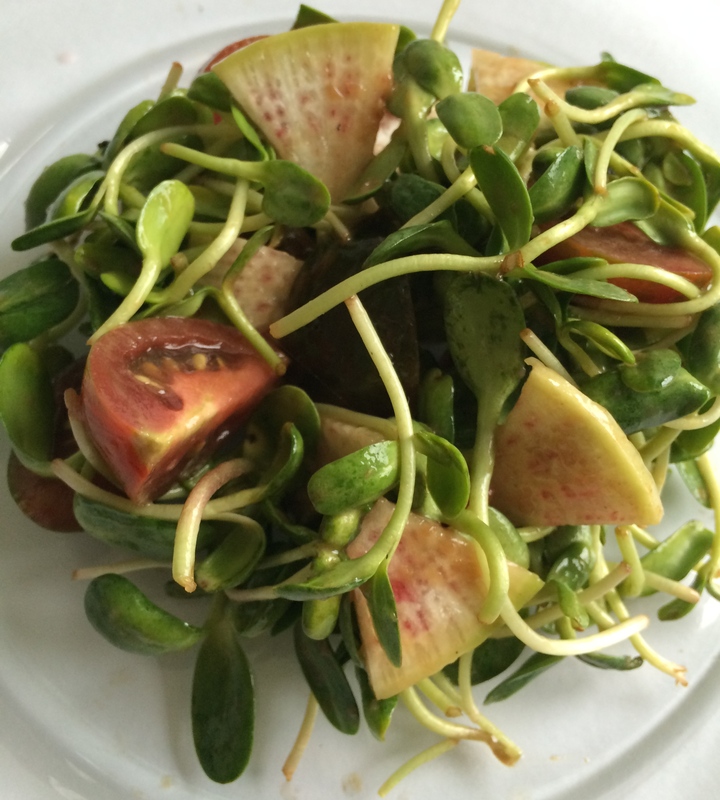 Pea shoots can be eaten hot or cold, in salads or just as a snack. Green garlic is collected before the bulbs start to mature. Chop or slice white, light green, and the first few inches of the dark green leaves (as long as they are tender, not soggy or brown). The taste of green garlic is quite garlicky, but more moderate with a less intense bite. Whenever cooked, the green garlic sweetens, adding a brand new layer of depth to whatever dish you choose to make with it. Green garlic is well known as a natural health remedy that has long been used to treat various ailments. It boosts the immune system, is rich in iron, and has anti-bacterial and anti-inflammatory qualities that can help prevent infection. This is a perfect dish to make on a sunny afternoon after you leave the market. Pair it with a slice of Upper Crust Bakery bread and you’ve got yourself a fabulous meal. Pack it in a thermos and take it on a picnic. Enjoy the weather- finally!!!! In a large saucepan, bring stock and milk to boil; reduce heat. Simmer uncovered for 5 minutes. In a large skillet, heat olive oil over medium-high heat. Add green garlic to hot oil and cook until it starts to become translucent. 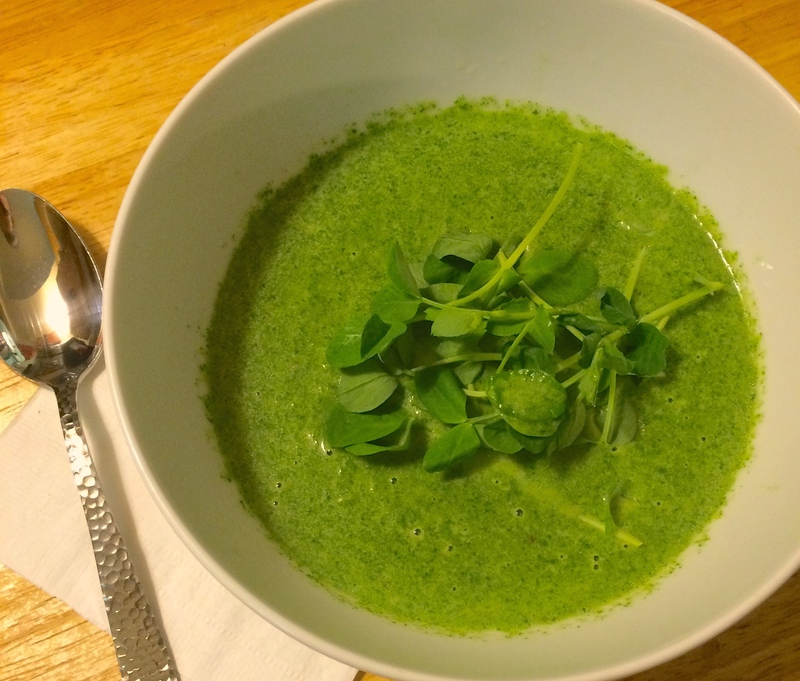 Add pea shoots and cook for 1-2 minutes or until pea shoots wilt and green garlic is tender. Add salt and pepper to taste. Add pea shoots mixture to stock mixture. Simmer uncovered for 2-3 minutes or until heated through. Add raw spinach to mixture. Using an immersion or regular blender, blend until vegetable mixture is almost smooth. I prefer to stop blending just before the soup is at the point of being pureed. Stir butter into soup and season to taste. Garnish with a small handful pea shoots and serve hot.